Adding a clause to the state's hands-free cellphone law, a West Virginia Representative either wants to block the progress of technology, or prevent distracted driving, depending on how you look at it. Distracted driving is, literally, a killer because who aren't paying attention to their driving are more likely to inflict car accidents on others. West Virginia State Rep. Gary G. Howell introduced a bill on Friday that would ban the use of Google Glass and similar devices while driving. While Google's wearable computing device is not yet available to the public, Rep. Howell clearly wants to proactively prevent something he feels will be dangerous. The bill, HB 3057, doesn't mention Google Glass by name, and adds the following clause to the states law prohibiting use of mobile communication devices without hands-free devices: (3) Using a wearable computer with head mounted display. This is defined as so: (9) “Wearable computer with a head mounted display” means a computing device which is worn on the head and projects visual information into the field of vision of the wearer. For those who are not following the leading edge of technology wizardry, Google Glass looks like a pair of eyeglasses but are a wearable computing device. A computer built into the glasses projects an information display on the eyeglass lenses giving the wearer a stream of data that's constantly in their field of vision. You can also talk to the Google Glass giving it voice commands that can cause the device to take pictures, look up information on the Internet and more. One kind of information Google talks about is driving directions, and one imagines they could gather road traffic information (from a source like Waze) to help you know the best route to take at any given moment. 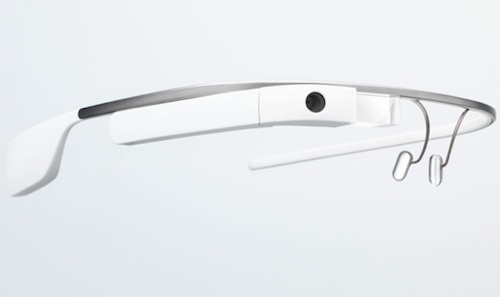 In short, Google Glass is Science Fiction techno-marvels made real. They aren't yet being sold to the public, but are in use by a variety of techno-elites. Eventually this sort of technology should bubble its way down to the masses and perhaps some day this sort of product will represent billions of dollars of revenue to some company. In the meantime, what does Rep. Howell have against these devices? "The primary thing is a safety concern. It (the Glass headset) could project text or video into your field of vision. I think there's a lot of potential for distraction." A Google spokesman sent the following statement: "We are putting a lot of thought into the design of Glass because new technologies always raise new issues. We actually believe there is tremendous potential to improve safety on our roads and reduce accidents. As always, feedback is welcome." Often the "new" device is seen as threatening or dangerous. Mr. Herron: Your opening statement is totally without merit. He doesn't want to block the progress of technology, he wants to cut down on distracted driving and potential accidents. Not the same thing; stick to the facts and leave out the hyperbole.